One of the last of the men known as Miami’s “Cocaine Cowboys” has been arrested near Kissimmee, Florida, and jailed in Miami. The term Cocaine Cowboys refers to drug traffickers and dealers from a period of time beginning in the last 1970s and ending in the early 1990s, during which Colombian drug traffickers become more active and violent. The man who was recently arrested, Gustavo Falcon, was part of a drug ring in the 1980s that allegedly smuggled 75 tons of cocaine into Florida through speedboats. Falcon has been wanted by law enforcement since he and his brothers were federally indicted for drug crimes in 1991. Up until now, he has evaded police. Falcon and his wife, Amelia Falcon, have apparently been living in Osceola County with their two adult children for the past five years and longer within the state under the false identities of Luis Andre and Maria Reiss. Falcon was caught due to his use of a fake driver’s license. The driver’s license had his actual photo on it, which was recognized by a trained forensic artist. When the driver’s license was further inspected, it led back to an address in Florida previously owned by Falcon. It also linked Falcon to a car accident that happened in 2013, which listed the couple’s current Osceola County address. Federal Marshals surveyed the home couple’s home to identify the suspect and then arrested Falcon when he and his wife prepared to leave for a bike ride. Falcon was recently transferred from Orlando’s Orange County Jail to a federal detention center in Miami to appear in court within this jurisdiction. He is facing federal felony charges for conspiracy to import cocaine and has made his initial court appearance. His attorney has publicly stated that Falcon will formally plead not guilty and seek a jury trial. Two of the original Cocaine Cowboys who were indicted along with Falcon in 1991 are currently in prison. His brother Willie Falcon accepted a plea deal in 2003 and was sentenced to 20 years in prison. Meanwhile, Sal Magluta was charged with drug-related money laundering in 2002 and originally sentenced to 205 years in prison. In 2006, his lawyers were able to have his sentence reduced to 195 years. Are You Facing Federal Drug Charges? While Falcon’s case has been and likely will continue to be sensationalized by the media due to his connections to a violent era in Florida. However, anyone facing these types of charges needs an experienced criminal defense attorney to avoid harsh punishments, such as high fines and decades in jail. 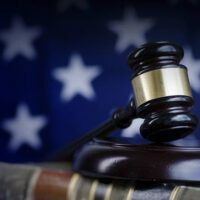 At Salazar & Kelly Law Group, P.A., we understand federal drug law and how to best defend you in court. Depending on your needs and desires, we can focus on negotiating a plea deal with the district attorney or fight to prove your innocence during a jury trial. We can explain the advantages and disadvantages of both of these scenarios, helping you make the best decision for you and your family. To learn more about defending against drug charges, call Salazar & Kelly Law Group, P.A. at 407-483-0500. Our Kissimmee attorneys are eager to help you today.